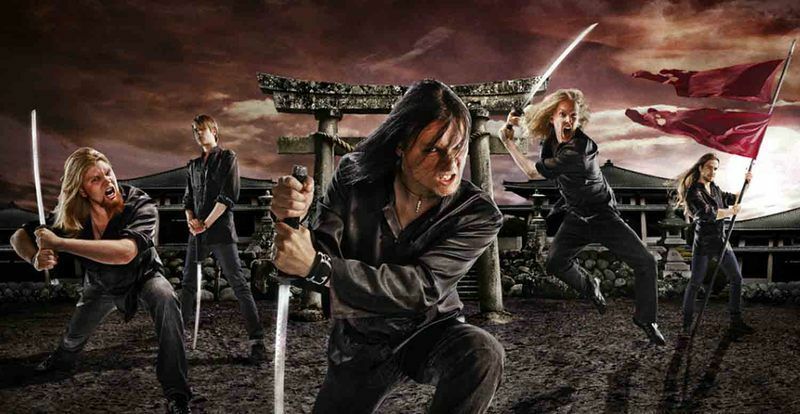 Epic Melodic death metal with japanese folk elements.In 2001 Jouni formed Zealot with a group of friends after discovering the spirit of rock 'n' roll. At the time the band consisted of Kopone, Mika and Jani. Zealot began writing their own material while searching for a drummer and guitarist. Atte Pesonen and Pepe Ruponen eventually made their way into the band.Zealot's first demo, Bloodthroned was then released, but personal differences between members of the band resulted in personnel changes. A couple years go by until new members Valtteri Arvaja and Toni Pöllänen are recruited, marking Zealot's end, and the birth of Whispered.Whispered hit the studio to record the Wrath Of Heaven demo with their new line-up. The demo garnered attention from music critics and record labels alike. Redhouse Finland Music Publishing signed Whispered in July 2008, citing the band's skill and potential as key components. The band's first single, Faceless, was released in 2009.The band's skills are put to the test under their new record label as recording began on their debut album, Thousand Swords. The album was mixed in 2009 and released in Finland on February 10, 2010. Whispered is a typical Finnish melodic death/power metal band, mostly revolving around sick riffs, fast-paced keyboard and guitar solos and raspy ”screamy” vocals. If you have ever heard bands such as Children of Bodom or Norther you basically know how Whispered sounds like in its core. While Whispered is true to this sound they are also a gimmick band, implementing traditional japanese instruments in their music and a samurai theme. 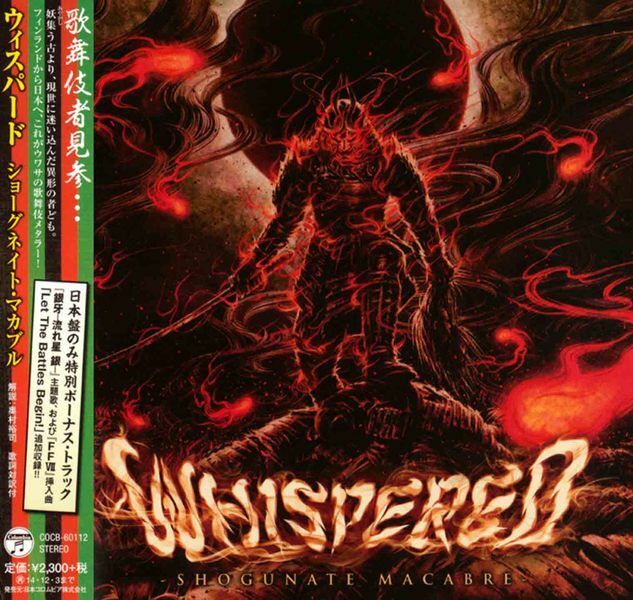 It’s pretty cheesy but it still works really well in their favor since samurais are cool (obviously).Shogunate Macabre is the second album released by Whispered and is a well-worthy follow-up to their extremely entertaining debut, Thousand Swords. Not only is it a fantastic album on its own but it’s actually an improvement from the firist one.What does Shogunate Macabre better than Thousand Swords then?This time around, Whispered have fired their keyboardist which also took care of the programming related to the japanese instruments. 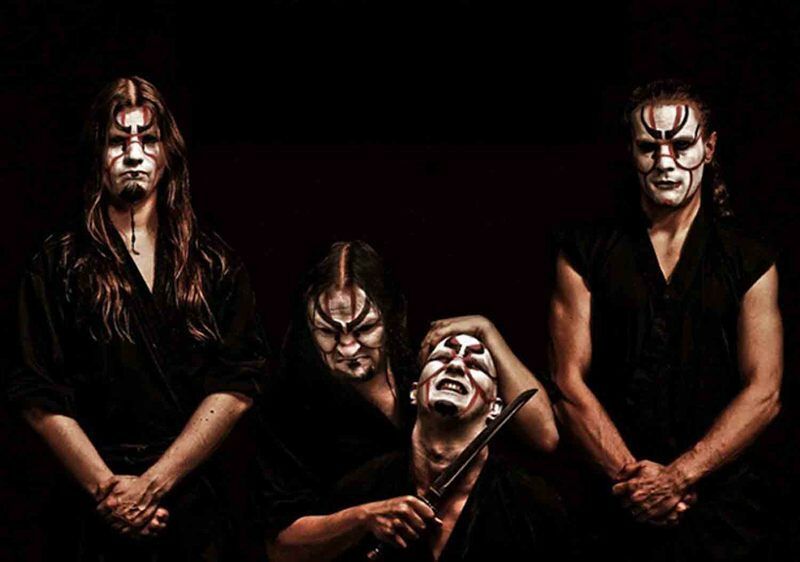 To remove the drilling keyobard solos from a Finnish melodic death metal band is pretty much like removing the meat from the bone but Whispered has really made it work. All the japanese instruments used in Thousand Swords such as the koto and the shamisen were all programmed but in Shogunate Macabre they are recorded and played proparly by humans which gives the album a much more organic feeling. 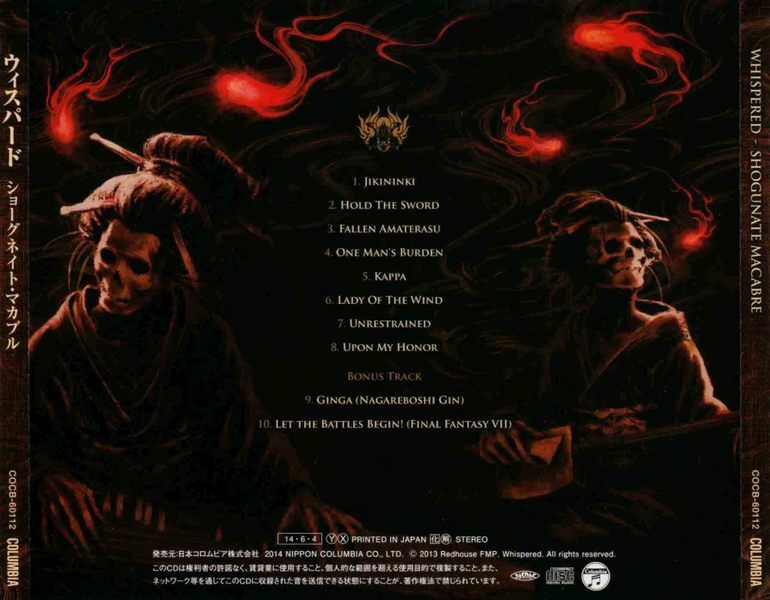 Thousand Swords could sometime seem like a mess with the guitar riffs, standard keyboard and the japanese instruments but Shogunate Macabre is much more focused and the use of the japanese instruments is more delicately and well done. The overall production is also noticably better in Shogunate Macabre. All the instruments just have more impact than on Thousand Swords, especially the bass which is fantastically meaty.Besides from being better than the debut, Shogunate Macabre is packed with memorable riffs, catchy choruses, classic japanese atmosphere and over the top epicness, but in the end, Shogunate Macabre isn’t really that original. 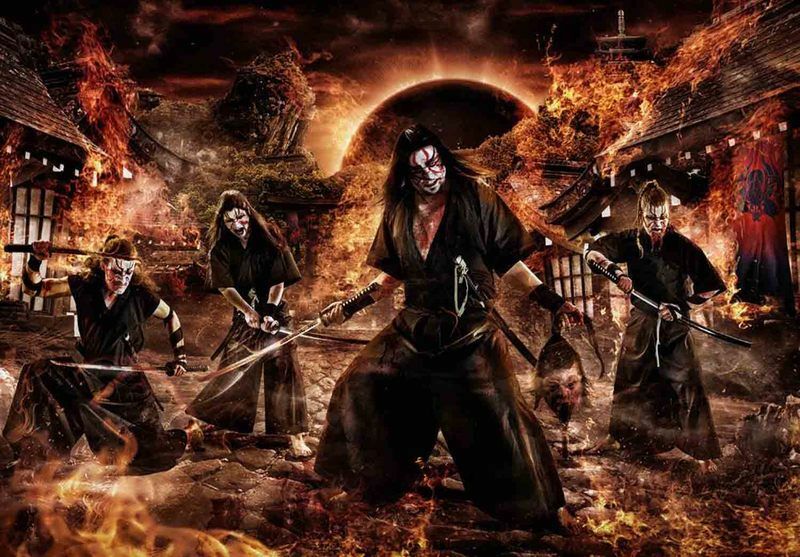 I am, however, a huge sucker for both japanese culture and instruments and finnish melodic death so there was just no way I wouldn’t instantly fall in love with this. If you aren’t horny for any of those things then you will probably still think it’s pretty good, but not a 4.5-worthy modern masterpiece.